Why all the Angry Holiday Drivers? Why does driving during the Holidays often seems more stressful than usual? Are family issues and frustrations spilling out onto the streets? I am always especially cautious while driving during the Christmas Holiday. Driving behavior seems to change a lot during the Holiday and people become more aggressive and impatient on the road. Is it that people like to take their family or shopping pressure frustrations out on the road? Yes, traffic is probably slight worse near shopping malls but regular commutes to work are faster due to people working from home or on vacation. You can see the frustration on drivers faces during this time of year. Especially when they have to stop and wait for someone crossing the street or someone makes a slight driving error in-front of them. Driving near shopping malls can be especially hazardous. We have found in our dangerous intersections database that more accidents are occurring at intersections near shopping malls. 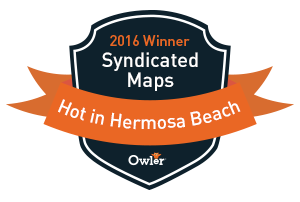 Search the previous map link in your area for dangerous intersections near shopping malls. Why has riding a bike most cities across the World has now become hazardous to your health and you could easily be risking your life and injury. I have been riding my bike for the last 25+ year to commute around the Hermosa Beach & Manhattan Beach area. I used to ride my bike for exercise on the streets training for triathlons but ever since I had kids I have stopped. It is just too risky now and over the years I have seen far to many injuries and accidents because some drivers don't respect bikers. It concerns me that driving has become even more hazardous with texting and distracted driving. However, one thing that has progressed is road rage especially in the morning. I can't tell you how many times I have seen angry drivers pass bikers too close. Why don't more drivers respect the space of bikers on the road? Don't more drivers realize that kids are riding their bikes to school and need to slow down? 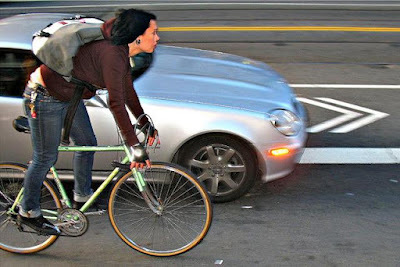 Over the years I have found the following things help to move cars and get more respect from cars while riding. Passing too close is my biggest pet peeve and here are ways to help get more space. Ride with a group of 2 or more people. Drivers tend to respect riders more in a group. Have a quick look over your shoulder if you start to hear a car approaching. Do your best to hug the side of the road or parked cars. Don't ride in the middle of a lane because you never know if a crazy driver is approaching. Don't run stop signs or lights. Don't ride too fast down hills or in areas with heavy traffic. Stopping safely is everything! Always be on guard and never relax while riding. Look inside parked vehicles to make sure a car is not about to pull out or opening a car door. I can't tell you how many times I have almost been hit by a car while riding my bike on the side of the road. Why don't more drivers give proper space to bikers on the road? Most drivers are courteous and pullover a lane on the road or just ride the median to give ample space. However on some rides there is usually that one "knucklehead" driver who does not respect your space and will pass you without pulling out. These people know what they are doing because they often look in the rear view mirror to see my reaction. We need to crowdsource a database of these assholes and their license plates! I am not an overly aggressive rider and tend to hug side of the road for just these reasons. What can be done to solve these problems? Education or steeper fines for not giving bikers ample space? Here is a good article that talks about the 9 things that drivers need to stop saying in the bikes vs cars debate. I would like to see bike radar companies like Ridar take off in the future. 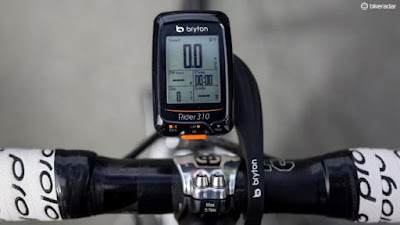 If every car has a bike presence sensor and cars were informed that a bike was nearby this could help. It would be awesome to see companies like Waze have a function for bikers to let drivers know they are nearby. However, it is going to take widespread adoption by the automakers. Hopefully, companies like Garmin and Ridar can make this happen and bring the technology to the masses. In a civil trial launched in Hamilton, Canada a court heard that the stop line on Fifth Concession Road West, where the sedan should have stopped, was faded and virtually invisible to drivers. The sedan instead stopped at the stop sign before pulling out into the intersection. According to the court documents, city staff had identified months earlier that the stop line needed repainting and had recommended it, but hadn't gotten around to it. Court heard there were "regular" accidents at that intersection. Years before the crash, a neighbor had petitioned to have reflective "tiger stripes" painted on the roadway there (which have since been added). The stop line was faded. As a result, Superior Court Justice Toni Skarica ruled last week that the city, as well as the driver of the sedan, was negligent. "The evidence establishes that the city had committed itself to maintain this stop line and had ample notice that this intersection was a dangerous — if not one of the most dangerous — intersections in the City of Hamilton," the judge ruled. "The city was aware it needed repainting as far as six months before the accident, but it had not been done." The cost of a stop line, according to the court documents, was $50 to $100. In an email statement Friday, lawyer Michael Smitiuch said the decision "serves as a wake-up call for the city to ensure improvements are made to dangerous intersections to protect public safety." He said that although his client will continue to struggle with his injuries, "the decision will allow (Chiocchio) to have the much needed care and rehabilitation that he requires and allow him to provide for his young son." He declined to say what amount the city was ordered to pay. On his blog he wrote, "The losses and damage suffered by the plaintiff were considerable." A city spokesperson said Monday it's "reviewing the decision with outside counsel, who acted on behalf of the city's insurer, to consider options." Read more. Google’s parent company Alphabet has created a driverless car company called Waymo, signalling that the company is ready to launch a commercial autonomous car service. Waymo will not likely create its own driverless car but will instead work with carmakers to integrate its driverless tech into their vehicles, as it plans to create a commercial ride-sharing service with Fiat Chrysler according to The Information, and will work with the automotive company to create an autonomous prototype van based on the Chrysler Pacifica. John Krafcik, will be the chief executive of Google Self-Driving Cars. On its website, the company said its next step “will be to let people trial fully self-driving cars to do everyday things like run errands or commute to work.” Alphabet executives had said they expected the self-driving car project to graduate from the company’s research lab, X, where it had been shielded from commercial demands. The move suggests the technology is becoming commercially viable. However, Mr. Krafcik didn't explain how Waymo would generate revenue beyond saying he saw opportunities in ride sharing, transportation logistics and trucking, as well as licensing technology to other auto makers. And, while the unit will be expected to generate revenue before long, it is unlikely to face pressure to turn a profit at first. Waymo has tested prototype vehicles that lack a steering wheel and brake pedals, and Mr. Krafcik said the company is lobbying regulators to allow cars without such controls. Meanwhile, he said Waymo likely would install its technology in conventional vehicles as federal rules require controls such as steering wheels. “We’re not in the business of making better cars, we’re in the business of making better drivers,” Mr. Krafcik said. Mr. Krafcik said the Waymo name stands for “a new way forward in mobility.” Waymo is Alphabet’s 12th business unit—alongside Google, home-automation firm Nest, venture funds GV and CapitalG, and others—each with its own effective CEO. 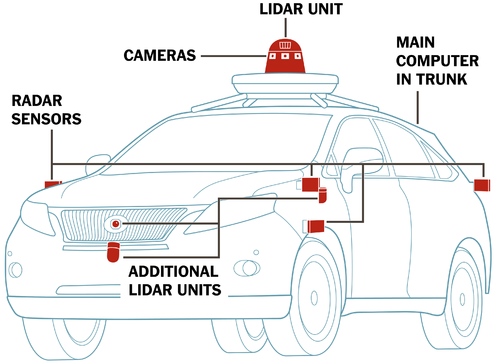 The unit claims extensive experience developing self-driving technology, including more than 2 million miles of testing on public roadways in the past eight years. At a press event Tuesday, Mr. Krafcik touted the company as the first to test a self-driving car on public roads without a human driver in the vehicle. 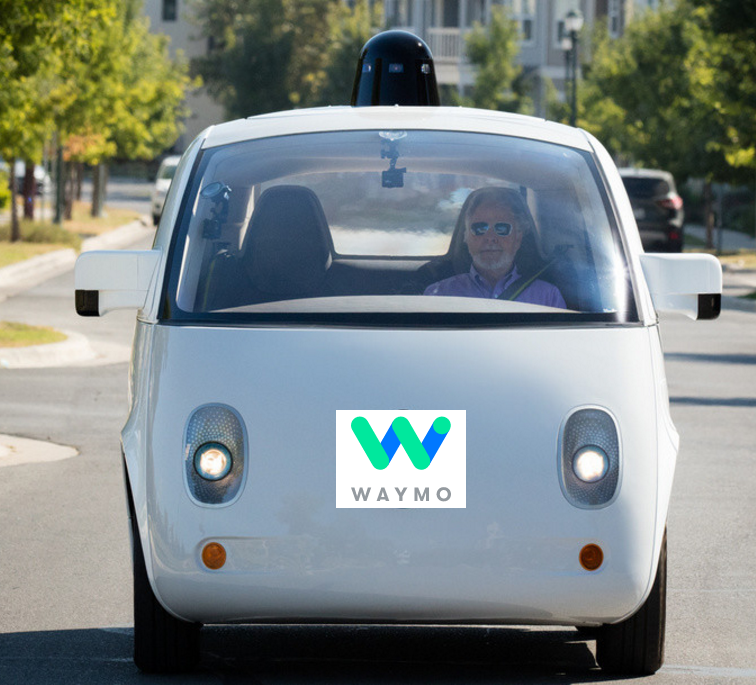 Steve Mahan, a legally blind man from Morgan Hill, Calif., in October 2015 rode around Austin, Texas, in a Waymo car that lacked a steering wheel and brake pedals. 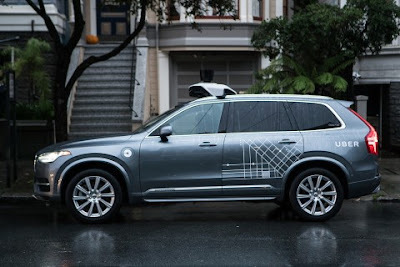 The rollout in San Francisco is another step by Uber to improve its driverless automobile technology, which the company soon hopes to put into cars beyond the XC90 and Ford Fusion. Uber is racing to get its self-driving technology out widely before its rivals, as many large tech competitors are trying to bring autonomous vehicles to consumers on a broad scale. Uber has started offering its self-driving car service to passengers in San Francisco, making it the second place in the world where Uber offers autonomous vehicles for public use after Pittsburgh, Pennsylvania was the first. It also marks the debut of the XC90 self-driving car in September of 2015, a Volvo sport utility vehicle outfitted with lidar, a kind of radar based on laser beams; wireless technology; and seven different cameras. It was produced in collaboration with Uber’s Advanced Technologies Center, the company’s driverless tech division based in Pittsburgh. Uber began offering self-driving car service in Pittsburgh this year. “The promise of self-driving is core to our mission of reliable transportation, everywhere for everyone,” Anthony Levandowski, Uber’s vice president of self-driving technology, said in a blog post. It is unclear if Uber is allowed to test its driverless vehicle technology within San Francisco. As of Dec. 8, the company’s name was not listed on California’s Department of Motor Vehicles website as one that held a permit to test autonomous vehicles in the state. Other companies, including Google, Tesla and General Motors, all hold permits to test autonomous vehicles in California. “All of our vehicles are compliant with applicable federal and state laws,” an Uber spokeswoman said in a statement. Uber is riding its self-driving cars into a legal showdown with California regulators. The ride-hailing company is refusing to obey demands by the state’s Department of Motor Vehicles that it immediately stop picking up San Francisco passengers in self-driving cars. Hours after Uber launched a self-driving service Wednesday morning with a handful of Volvo luxury SUVs, the DMV sent the company a letter saying the move was illegal because the cars did not have a special permit the department requires for putting autonomous vehicles on public roads. As of Wednesday night, the Volvos — distinctive in look with sensors protruding from their tops — were still roaming San Francisco’s streets. The company did not respond to a request for comment about the state’s legal threat. “If Uber does not confirm immediately that it will stop its launch and seek a testing permit, DMV will initiate legal action,” DMV Chief Counsel Brian Soublet wrote the company. He referenced the possibility of taking Uber to court. California has issued permits to 20 companies for tests of autonomous vehicles on public roads, mostly traditional automakers and tech companies. Getting a permit for prototype testing is part of legal language negotiated between the state and industry, and DMV lawyer Soublet argued in an interview that the permit process helps maintain public confidence that the technology is safe. “Don’t start doing this stuff. Apply for the permit. Follow the rules,” Soublet said of Uber. To receive a permit, a company must show proof of insurance, pay a $150 fee and agree that a human driver can take control of the vehicle. Operating without a permit arguably gives Uber a competitive advantage. Companies with one must report to the state all crashes and every instance in which a person takes control during testing. All that information is public. Uber is sending another message to California: Other places want us if you don’t. Alphabet, the parent of Google said it would spin off its self -driving research wing into a stand-alone company called Waymo. Apple is in the midst of rethinking its automotive strategy. Companies like Tesla and Lyft continue to work on self-driving software.